Do you love to create pet products and of course, shopping for them too? I am asking this, because this is possible if one passionately loves animals! If someone is an animal lover of that sort, s/he is bound to have many pets and think all the time about how s/he can care about them and spoil them with countless number of pet products and accessories. Well, if you live in Australia and if you are the one like I have described here, here’s what you must see – PetsBay! PetsBay is an ecommerce site where you can buy and sell high quality pet products to pamper yours and others’ pets. Whichever pet you have, whether it’s a dog, cat, bird, fish or any other pet, you will get products for her/him on PetsBay. There are delicious and nutritious treats and pet supplements, medicines, grooming products, toys, beds, and more. And there are also listings of pet clinics, pet breeders, clubs, groups, pet insurance, adoption centres, pet shops, charities and more. In short, PetsBay is a one-stop solution for any of your pet-related requirement. Visiting PetsBay regularly benefits pet parents in terms of getting a range of pet stores, vet clinics, pet insurance and so on. There are online pet stores where you can get only their products. But with PetsBay, you can view products of many manufacturers at only one portal; you don’t have to search through the web for finding various shops. And as this is a platform designed for manufacturers of pet products, you can get various handcrafted gourmet products that you and your pet will love. If you are passionate about pet products but don’t have enough capital for opening your pet business, PetsBay is there to help you out. They will help you in any way you want and you can create your ecommerce pet website with their help for which they will provide advertising materials too. Registration is free. 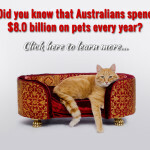 So, in the form PetsBay, you can now buy or sell pet supplies in Australia easily like never before! Keep visiting PetsBay and you will get access to various pet facilities and unique, exclusive pet products.